69 products matching your criteria. 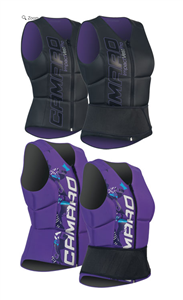 We carry a large selection of wakeboard and waterski life vests and lifejackets in stock: Hyperlite life vests, Liquid Force life vests, Eagle life vests for men, women and kids. Selecting a lifejacket is an important decision and should be based on several different factors. The fit, the floatation and the entry method are all factors that should be considering when making your selection. 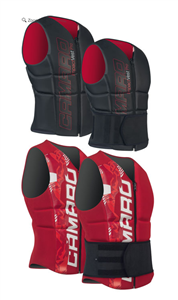 Wakeboard and waterski lifejackets should be snug while still fitting you comfortably. 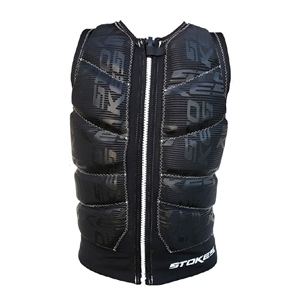 The level of buoyancy for floatation varies greatly depending on the type of vest you buy. Life jackets that are United States Coast Guard approved will offer you the most flotation when in the water. How you put on the lifejacket is another factor to consider. The two primary methods include pull-overs, where you pull the vest down over your head, similar to a t-shirt. The other method is a zipper/buckle option, where you have an access point either in the front or back of the lifejacket that has a zipper or buckles. Depending on your preferences Miami Nautique has a wide selection of waterski and wakeboard lifejackets for you to choose from, for assistance feel free to shoot us an email or give us a call and ask our expert staff.